1. 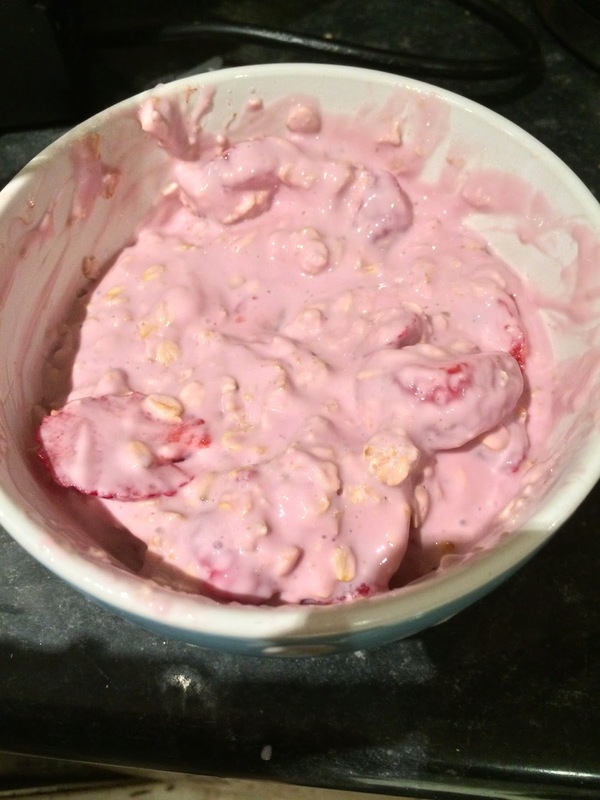 Combine all ingredients in a bowl, ensuring that they are well mixed and that all the oats are coated with yogurt. Disperse the sliced strawberries evenly. You can adapt this recipe however you like! Blueberries and Cream Easiyo with fresh blueberries is yummy. Or just plain Easiyo with honey added in the morning. You don't even need to use Easiyo, any yoghurt will do really.